For a superior experience, download our free e-book. Twenty-four pages of tips, tricks and tools for capturing the 2017 eclipse. One of our very first blog posts as NPAN was a Q&A with astronomer and night photographer Tyler Nordgren. During that interview was the first we heard about this amazing event that would be occurring 18 months later: the 2017 total solar eclipse across the United States. Moreover, we learned it would pass over three national parks! To say we were excited is … well, an astronomical understatement. We’re nearly ready to experience and photograph this uncommon celestial event. Are you ready to join us? If so, we hope you enjoy the next few pages, full of instruction, locations and recommended gear for photographing this gigantic two-minute shadow. And feel free to rock on to our eclipse playlist on Spotify while reading. How are you preparing for and shooting the eclipse? In case you haven’t heard the buzz yet, the continental United States will be experiencing a solar eclipse on August 21. If the weather is good, we will all be able to see … most of it. But lots of lucky folks will be driving to a spot along the path of totality to experience something very rare and surreal: the total eclipse, when day turns into night. For approximately 1 to 2 minutes you’ll be able to see the stars during the day and the wild corona light dance from behind the moon. The screw-in filter is the one I would least recommend. Even though it seems to be the most popular, think of this: The common strategy for shooting the eclipse is to have a filter over your lens so that you can capture a properly exposed and non-flaring sun. Once we enter the small window of totality, when the moon will eclipse the sun, it will be safe to take the filter off and adjust your exposure accordingly for that beautiful shot of dark sky and the white ring around the moon. You must wait until after the “diamond ring effect”—when the sun flares one last time from behind the moon—before taking off the filter. You don’t want to waste precious time (5 to 10 seconds) unscrewing a screw-in filter when you could instead take 1 to 2 seconds to remove a drop-in filter or universal filter cap. The average time of totality will be from 1 to 2 minutes and you want to photograph it but also experience it. Don’t waste precious time fumbling around with your gear! With Auto white balance, I found the Lee filter produced a clean white sun. I experimented with the white balance and preferred cranking it to 10,000 K for a nice yellow/orange sun that is more visually familiar. Left and center were shot with the Lee Solar Eclipse Filter at 1/800, f/8, ISO 800, with Auto white balance (left) and at 10,000 K (center). Right shot with a Daystar filter at 10,000 K at 1/500, f/5.6, ISO 800. The sun shot at an effective focal length of (from left to right) 150mm, 300mm, 450mm and 600mm. • Read Tyler Nordgren’s book Sun Moon Earth—A History of Solar Eclipses from Omens of Doom to Einstein and Exoplanets. We are also a big fan of Tyler’s other book, Stars Above, Earth Below—A Guide to Astronomy in National Parks. He makes the science of astronomy very engaging, easy to understand and to get excited about. • Send an eclipse to someone you love! The United States Postal Service has released a unique Total Eclipse of the Sun forever stamp. The stamps show the total eclipse, but when you touch them with your finger the eclipse reveals the moon. They used thermochromic ink that reacts to the heat of your finger! So stock up on these stamps and send a letter or post card from wherever you are experiencing the eclipse! The eclipse is not really a night thing, but definitely is a dark thing. Or maybe we can say it’s two nights in one day. Either way, 2017 is a year with a celestial rarity: a full solar eclipse that will streak across the skies of the United States on August 21. Is there any place better to view and photograph it than in a unit of the National Park Service? We think, probably not. If you’re of a similar mindset, you’ll be happy to know that the eclipse’s cross-country journey will include three national parks and several similar precious lands, including national monuments, national forests and national historic sites. If you’re inspired to photograph in these important places, here’s your guide to finding them. South Carolina—One of the least-visited national parks in the U.S. will also be one of the three that will have the totality pass directly overhead. The park’s “Shadows and Science” event will include ranger- and volunteer-guided hikes. Viewing the eclipse in this swamplike floodplain forest will be somewhat surreal, to say the least. Congaree is a small park, but one of the most primal and most beautiful due to its untamed wildness. Wyoming—The entire Jackson Hole area is more than ready for the dark sun to pass overhead—in fact, it could be the hottest hotbed in the country for viewing the eclipse. Grand Teton (pictured above) is not a huge park like its northern neighbor Yellowstone, and there will be a lot of people visiting. So I recommend getting off the beaten path—ideally, up onto the mountain trails, or at least along the little-traveled, four-wheel-drive-only Grassy Lake Road. Despite the certain crowds, there are few national parks more worthy to serve as a foreground for such an amazing occurrence. The park is rife with both rustic and dramatic photography subjects, including old barns, wooden buck-and-rail fences, stands of aspen, and of course the sudden 7,000-foot rise of picturesque mountains from the western edge of the 15-mile-wide valley. For more advice about viewing the eclipse passing over one of the most dramatic alpine/valley landscapes in the U.S., see Grand Teton’s “2017 Total Solar Eclipse” webpage. North Carolina and Tennessee—The bad news is that Great Smoky Mountains is the most visited national park in the U.S. and midsummer is its busiest time of year, so chances are good that it will be a tad crowded when the sun goes out. The good news is that Great Smoky Mountains is the most popular park in the U.S. for good reasons, the totality of the eclipse will pass over the entire western half, and three awesome locations will be hosting official viewing events: Clingmans Dome, Oconaluftee and Cades Cove (one of my favorite photography spots in the whole park system, where I made the image at left). The park is best known for its limitless views of mountain ranges cascading into the horizon. But other amazing photo locations include valleys, rivers and historic structures such as those found in Cades Cove. See the Great Smoky Mountains’ “2017 Solar Eclipse page” for more information. As I mentioned before, the eclipse will also pass over other NPS units, all of which offer various opportunities for photography. National monuments are often just as beautiful as national parks—in fact, many of the latter started as the former, such as Death Valley, Acadia and Olympic. National historic sites can have a completely different kind of aesthetic, because they’re about preserving spaces and structures of historical and cultural importance, as can national recreation areas, which are about having all sorts of fun. Nebraska—Photograph among the hills, wetlands and bluffs of this geologically rich patch of land that’s been the site of active fossil discoveries for well over a century. Then stay for a night shoot; Agate Fossil Beds is 50 miles from the closest sizable town, which translates to very little light pollution. North Carolina—Perhaps the country’s most famous scenic byway, the Blue Ridge Parkway passes over mountains, through farmland, by historic sites, through stone tunnels and bridges, and more. 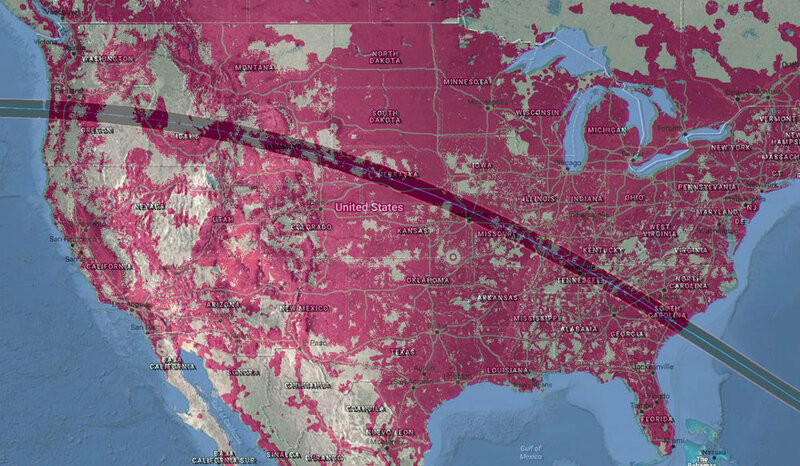 It does all that for 469 miles in Virginia and North Carolina, but only southwest parts of the latter will see the total eclipse. Lots of places to watch; no traffic lights. South Carolina—Shoot on this 28-acre remnant of the Snee Farm, a coastal plantation of a signer of the Declaration of Independence. Highlights include an 1828 farmhouse and a boardwalk interpretive trail that leads over a tidal marsh. Idaho—A vast lava-bed landscape provides creative photographers with surreal foreground material. The national monument will be hosting a four-day event that will include star parties and lectures. The parkitself will see only a partial eclipse, but staff will host a totality viewing in a nearby town. See their “2017 Eclipse Across America” webpage. Tennessee—Another Civil War memorial, Fort Donelson features artillery batteries, the Confederate Monument, views of the winding Cumberland River and more. For information on specific event plans, see their “2017 Eclipse” webpage. Wyoming—What started as a fur trade post eventually became the largest military post on the Northern Plains throughout the 1800s. Explore the fort, the preserved structures and the flanking Laramie River. See the site’s “2017 Great American Eclipse” webpage. South Carolina—The site of the first shots of the U.S. Civil War will be one of the last spots on American soil to see the eclipse. It’s an island; a small one; you need to ride a boat to get there. Logistics and odds will be a challenge. As an alternative, view the event from anywhere in the beautiful historic city; see “2017 Eclipse Across Charleston” for more details. Missouri—Visit one of several spots, including Truman’s house or his childhood farm home in Grandview. The former will have an attendance cap of only 35 people! See their website for more event info. Nebraska—This preserved location commemorates the Homestead Act of 1862, which accelerated the westward expansion of the United States. Hiking trails explore bur oak woodland, 100 acres of tallgrass prairie, historic farmland and the rustic Palmer-Epard Cabin. The national monument will celebrate the eclipse with a three-day festival. Oregon—Three units of the national monument offer geologic formations and scenic options such as the Clarno Palisades, Sheep Rock peak and the Painted Hills. See their eclipse webpage for site-specific info. Kentucky and Tennessee—Land Between the Lakes is not an NPS unit, but is actually administered by the U.S. Forest Service—however, its nature fits well with the other sites in this list. This national recreation area rests on a peninsula between Kentucky Lake and Barkley Lake in Western Kentucky and Tennessee, and manages over 170,000 acres of forests, wetlands and open lands. The recreation area has a special news page about what to expect on August 21. Tennessee—One of the newest units on this list, Manhattan Project National Historical Park was a bit controversial when established in 2015, due to its sites’ involvement with the creation of the atomic bomb. Perhaps there’s a metaphor to be photographed at its Oak Ridge Unit in the eastern hills of Tennessee on eclipse day? For specific events and plans, organized in conjunction with the American Museum of Science & Energy, see the park’s “Solar Eclipse” webpage. Tennessee—Photograph along the tree-lined banks of the boulder-strewn river, or from the bottom or rim of the gorge, or frame the eclipse with the bluffs and rock formations along the trails. Obed also offers an annual photography contest, so if you get a great eclipse image, perhaps you can win! To learn more about locations good for viewing and photographing on August 21, see the unit’s “Solar Eclipse” webpage. Nebraska—Standing sentinel 800 feet above the North Platte River, Scotts Bluff has long been a navigational and scenic landmark for local peoples, from Native Americans to pioneers headed west to California and Oregon. The scenic Summit Road and miles of trails afford easy access to myriad photography subjects, including short- and mixed-grass prairie, wildflowers, native trees and shrubs, and geologic and historic features. Tennessee—One of the bloodiest battles of the Civil War was fought at Stones River. I always feel uncomfortable using places like this as a photography background, so when I do shoot, I try to do so in a way that reflects the sanctity and history of the space. Here, roads and seven miles of hiking trails lead to cultural landscapes, monuments, the weathered headstones of the national cemetery, and more. For details on site events planned for August 19 to 21, see “2017 Solar Eclipse at Stones River” at their website. Missouri—Home of the general and 18th U.S. president, the property preserves the 19th century house, historic outbuildings and picturesque white wooden fences on just under 10 acres of land. Several national forests will also be darkened by the eclipse. These spaces are maintained by the Department of Agriculture and Bureau of Land Management for different purposes than NPS units, but offer many pretty spots to settle in for a day of solar watching and photography. National forests can also be great places to go for a better chance at solitude, as they tend not to be strong tourist attractions like the national parks and monuments are. One final place that’s a fantastic location to photograph an eclipse, even though it’s not a national land, is Carhenge in Nebraska. Seriously. It might even be cooler than photographing an eclipse at Stonehenge. National parks tend to be big, as do many national monuments and national forests. Those other types of units, however, generally have space restrictions. Therefore it would be prudent to make sure you can get in before heading off the morning of August 21. Check the links provided above, or Google the location websites, to see which require reservations, tickets or pre-day head counts. Some of these sites will just close the gates when full, and you don’t want to be stuck in traffic on Business Route Whatever when the moon does its magic. For more information about all of the National Park Service sites that are disilluminated by or celebrating the eclipse, visit the department’s official “2017 Eclipse” page. Photographing—or even just viewing—a solar eclipse involves special gear. We’ll admit some of this is for fun or for enhancing the experience, but some is also for preventing your eyes from being fried—or, perhaps even worse, your camera sensor. The following pages certainly don’t represent all the speciality equipment and eclipse-related products on the market, but they do offer a showcase of some items that have caught our eye. From filters to posters, from books to T-shirts, from apps to stamps, here are our suggestions for items that will help you get ready for August 21. What are you going to do with those great eclipse photos on August 22? Print them! Some of the most top-notch printing in the business today is being done by California-based Bay Photo. Their products are industry-leading, and include prints on metal, canvas, wood, tile and of course extremely high-quality papers. Other photo products include wood boxes, stickers, business cards, books, calendars, wraps, bamboo mounts … you get the idea. If you’ve never worked with Bay Photo, they’re eager for you to start; new customers receive 25 percent off their first order. No matter where in the path of totality you are, without expert advice on hand it can be hard to know exactly when that big old moon will block that big old sun. Enter Solar Eclipse Timer—expert advice in your hand, in the form of an app. Available for iOS and Android, Solar Eclipse Timer will tell you how to get into the path of totality, then when to look up (with protection, of course!). You don’t need to tell the app where you are, because it finds you using the device’s GPS. If you’re looking for a perfect book about the solar eclipse, stop, because you just found it. Tyler Nordgren is a California-based astronomer and night photographer, and also author of Stars Above, Earth Below: A Guide to Astronomy in the National Parks. In his new book, Sun Moon Earth: The History of Solar Eclipses from Omens of Doom to Einstein and Exoplanets, Nordgren details … well, the title kind of said it all already. Photographers need support that is strong and stable, as well as easy to use in the dark. We also like a lack of weight, particularly because we’re often carrying two tripods into the field for multiple setups. The Manfrotto 190go! exceeds all these needs as the perfect tripod for either a primary or secondary support system (or both!). 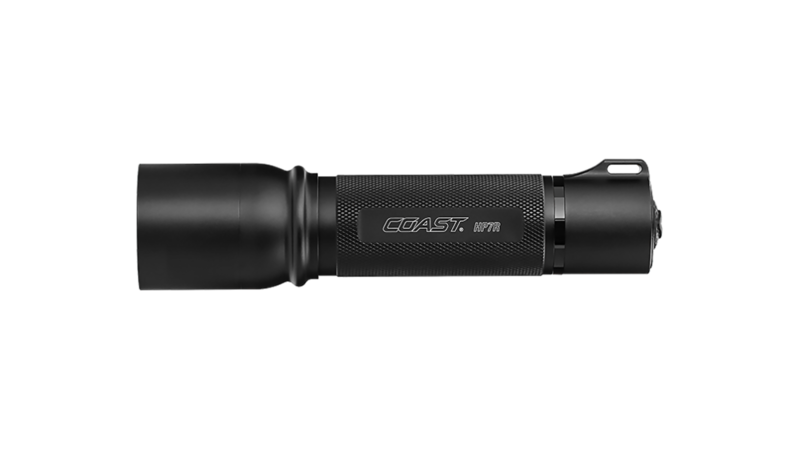 It closes down to less than 18 inches and is available in aluminum and superlight carbon fiber versions. Eclipse stamps? How cool is that? Stamps that reveal the full moon when warmed by your touch? No way! The Total Eclipse of the Sun stamp is the first U.S. stamp to use thermochromic ink, which reacts to the heat of your touch. Placing your finger over the disc on the stamp causes the ink to change from black to clear to reveal an underlying image of the moon. The image reverts back to the black disc once it cools. Even if you can’t make it to see the eclipse in person, the post office will help you to commemorate and memorialize it with these forever stamps! Our favorite flashlights for light painting quickly during two minutes of eerie darkness. The HP7R outputs up to 300 lumens in a perfectly even beam, allowing for smooth painting of objects near or far, and features three power modes and a slide focus for honing or broadening the illumination. We’re also big fans of the 185-lumen HP5R. During the totality, the sky is dark. So is the landscape. Sounds like a great opportunity to be creative with artificial illumination! Light Painting Brushes offers a comprehensive set of unique light-writing tools that are sure to stir the creative juices of any low-light photographer. Their Deluxe Starter Kit includes universal flashlight connectors, along with tools for creating light orbs, light sculptures, light graffiti and anything else you can imagine. Are you planning an eclipse viewing party with nine (or more) of your closest friends? If so, this 10-pack of EclipseView Standard Solar Glasses is just the thing. These basic viewing aids feature ISO-certified solar filters that block 99.999 percent of intense visible light while providing protection from 100 percent of harmful infrared (IR) and ultraviolet (UV) radiation, allowing them to be used to safely observe the sun. At two bucks a pair, and guaranteed to keep you from going blind when you look directly at the sun, what’s not to love? National Parks at Night instructors have written definitive guides to popular photography subjects that can help you find a great space for capturing the eclipse, and then help you shoot once you get there. The complete set can keep the photographer well-informed and educated about topics ranging from national park locations to how to shoot in the dark, from how to combine exposures for accurately reproducing ambient light to how to add light to a dimly lit scene. Lee filters have a reputation for quality, and this 100mm square glass filter fits in standard holders. 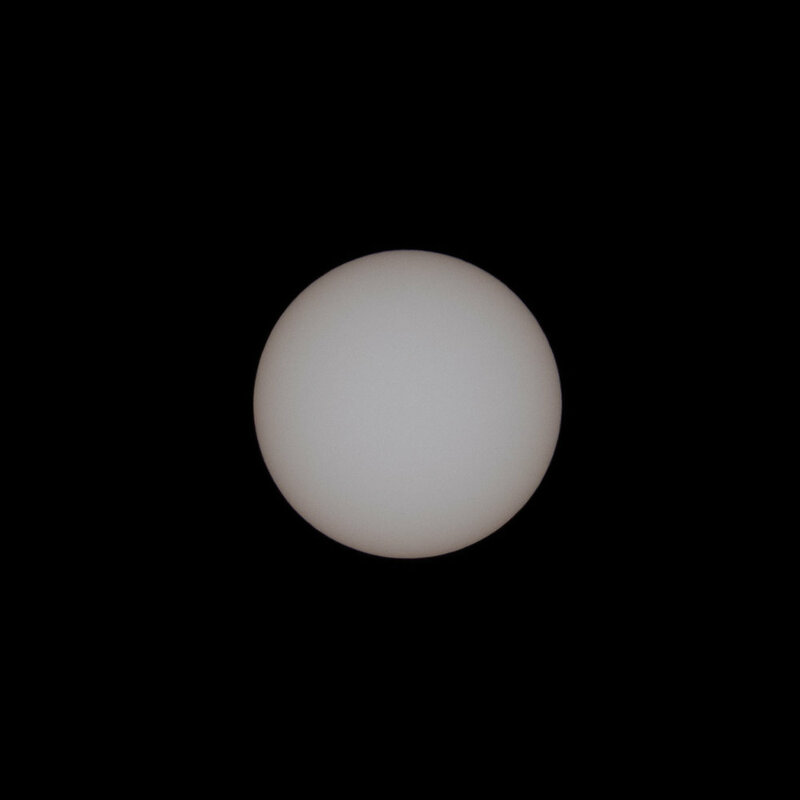 Neutral density filters allow you to photograph the sun without maxing out your exposure variables. The 100x100mm Solar Eclipse Filter is designed solely for solar and solar eclipse photography. It is not suitable for general long-exposure landscape photography, nor for direct solar viewing with the naked eye. Put simply, you can’t get a better camera for low-light photography, particularly at this price point. At under $2,000, the Nikon D750 has everything a night photographer could want in a body right now: It has low noise at high ISOs, ISO invariance, ability to pull tremendous detail out of underexposed images, and a T (time) setting on the shutter speed dial, as well as being lightweight and compact. But really, it’s all about the image quality, and the D750 outshines all the other options under the sun and stars. To level up even more, add one of the best lenses for low-light photography: the Nikkor 14-24mm f/2.8. 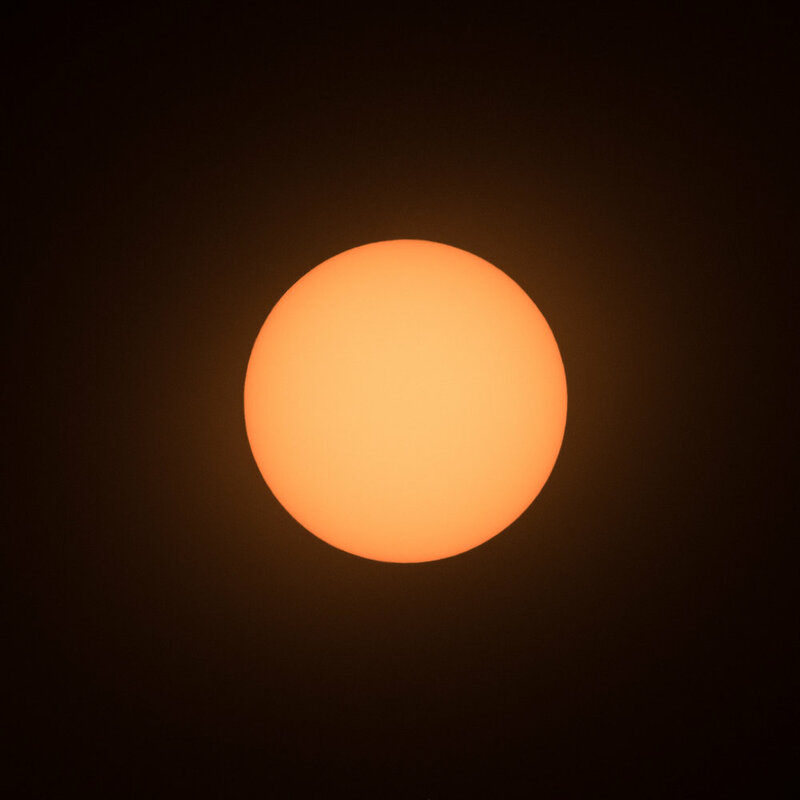 The inexpensive Daystar Filters 90mm White-Light Universal Lens Solar Filter allows you to safely view or photograph solar eclipses. 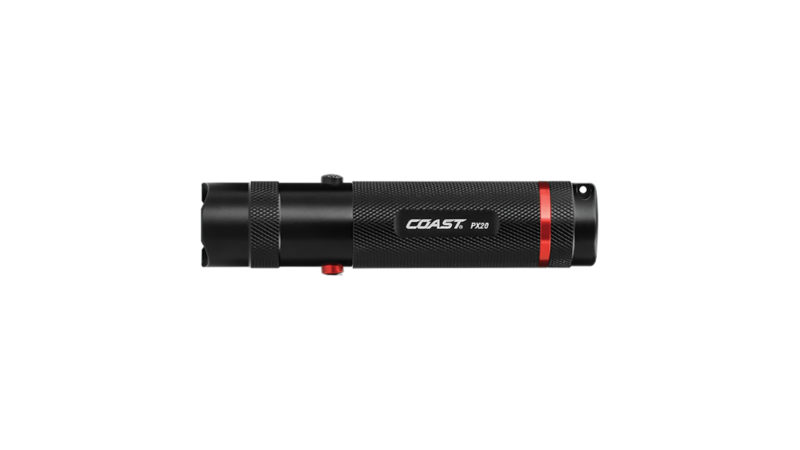 It stops more than 99.999 percent of intense light, plus 100 percent of harmful IR and UV radiation. The filter reveals sunspots and super granules on the solar surface. The spring-folded design holds securely on the front of lenses and other optics. It will fit over sunshades and dew shields with an outside diameter from 85mm to 99mm (3.34 to 3.89 inches). You definitely want a ball head when photographing the eclipse, to make it easier to adjust to the sun moving across your frame. The GH3382QD Arcatype-compatible head is low-profile, low-weight and can hold a 40-pound camera/lens combo with no creep or fuss. Moreover, loosen the screw-knob lock and due to the tungsten disulfide coating, the ball moves 360 degrees as smooth as silk. Want to commemorate the eclipse with a T-shirt crafted by an astronomer, night photographer and partner of the national parks? See this line by the Space Art Travel Bureau, with designs by Tyler Nordgren. The spacious, robust yet exquisite Everyday Backpack, available in two sizes, holds just about anything you need when venturing into a moon-darkened landscape. It’s adaptable, partly due to moveable dividers, and partly due to the integration of Peak Design’s Capture Clip points that allow you to quickly attach or detach cameras or accessories. If you have a refractor telescope you use at night, grab MrStarGuy’s 66-94mm Adjustable Objective White Light Solar Filter to safely view the sun. It’s also ideal for camera lenses without front filter threads or when conventional screw-on filters are unavailable. It’s certified for safe direct solar viewing, which means the filter blocks greater than 99.99 percent of the intense visible white light from the sun plus 100 percent of harmful ultraviolet (UV) and infrared (IR) radiation. It you want to observe the eclipse up close with your eyes while your camera is doing its thing, grab the Celestron 9x63 SkyMaster DX Binocular White Light Solar Eclipse Viewing Kit. Comes complete with long-distance binos, a tripod with a fluid pan head for smooth tracking, and a two-pack solar viewing filter kit that will protect your eyeballs while observing the eclipse of a lifetime. CreativeLive offers some of the very best photography education on the internet, and our favorite (though we admit bias) is the Night Photography Week bundle we created with them last year. From the entire National Parks at Night crew, learn about gear, scouting, astro-landscapes, light painting, night portraiture and more. The course comprises nearly 18 hours of instruction in 82 class segments, plus bonus materials that include information on camera and light-painting gear, lists of apps to help with location scouting and night photography, and articles about topics such as camera settings and the 400 Rule. The Marumi 16.5-stop 77mm DHG ND-100000 Solid Neutral Density 5.0 Solar Eclipse Filter is a premium option for photographing the eclipse without a color cast. Even density and color across the entire field is what makes this filter worth the high cost. An advantage of this model over other specialized eclipse filters is that this one is also suited for general purpose long-exposure photography, making the investment useful long after the eclipse has passed. When you get home, you’ll want your images to look as amazing as the experience of actually being at the eclipse. Enter the BenQ SW320 31.5" 16:9 4K Color Accurate IPS Monitor. With its 3840 x 2160 resolution, 1,000:1 contrast ratio and 1.07 billion colors, you’ll see unparalleled crystal-clarity during photo editing. The 10-bit display supports 99 percent of the Adobe RGB color space with uniform brightness from corner to corner. Want to learn more about Seizing the Night? Join the National Parks at Night team as we take you to magical and majestic destinations for extraordinary night photography adventure workshops. Our five enthusiastic veteran instructors hand-craft each workshop to provide a unique, world-class educational experience where you receive friendly, individual attention and create awe-inspiring images in settings of unparalleled natural beauty. National Parks at Night is teaching in each park only once, so book now for a creative journey unlike any other. 2017 Passport Series locations include Great Sand Dunes and Olympic national parks, along with Adventure Series workshops in the Eastern Sierra, Centennial Valley and Westfjords (Iceland). 2018 workshops will be publicly announced August 19, 2017. Want a copy of this page? Download our free e-book. 24 pages of tips, tricks and tools for capturing the 2017 eclipse.